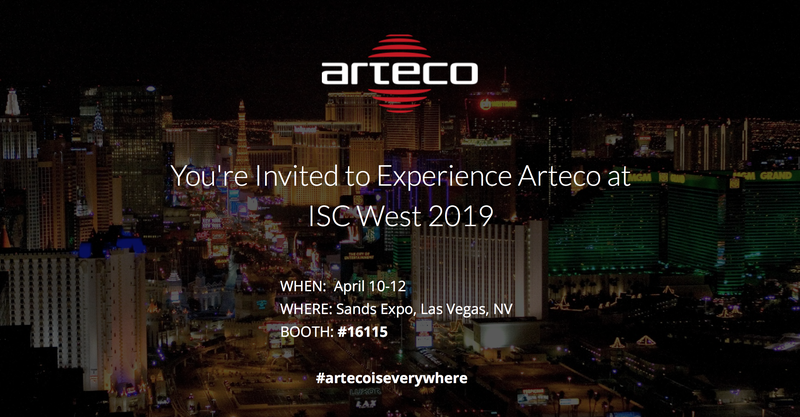 St. Louis, Mo., March 20, 2019 – Arteco, a global provider of intelligent video management solutions, will showcase its integrated and event-based solutions and introduce its newest consumer-based user interface at ISC West 2019, the security industry’s largest conference and exhibition. ISC West marks the first time customers and partners can preview Arteco’s new intuitive UI, OMNIA. The interface is developed specifically for Universal Windows Platform and enables a complete integration in Windows 10 and future releases, streamlining expansion and upgrade capabilities for end users. Available on desktop and tablet mediums, OMNIA delivers real-time push notifications and system health monitoring to maximize uptime, and its user-centric design facilitates fast and simplified access to information. Graphic acceleration and multi-monitor displays empower operators to easily manage views from high-resolution cameras and minimize video monitoring complexity. Arteco will also demonstrate its continued and significant focus on integration and event intelligence through the display of Arteco Security Connector, which extends integration capabilities between third-party devices. The award-winning Face Recognition solution will be showcased as well, enabling conference attendees to gain greater insight into the built-in analytic capabilities within the Arteco video management software. Arteco will also highlight its focus on the integration of its VMS with seed-to-sale platforms within the cannabis market to create a comprehensive grow house management solution. The open platform architecture of the Arteco VMS allows cannabis facilities to establish video compliance and identify the most relevant information at any given time, transforming video security from a cost center to an operational tool that gives cannabis facility managers more oversight and control. Conference attendees are invited to schedule a meeting with Arteco. Click here to request a time, gain an invitation to our Opening Day Happy Hour and find out information about our #artecoiseverywhere social media giveaway. Founded in 1987, Arteco is a global provider of event-driven intelligence solutions based in Faenza, Italy, with U.S. operations in St. Louis, Mo. With a focus on ease of use and event management, Arteco’s research and development initiatives have united world-class, state-of-the-art video analytics and video management onto a single-platform to optimize processes and reduce costs. Arteco provides a wide range of software and network hardware solutions that integrate with third-party systems such as video surveillance, video management and access control. Arteco products are available through certified integrator partners around the world. For more information about Arteco’s Video Management Software (VMS) solutions, please visit http://www.arteco-global.com and follow on social media channels: LinkedIn, YouTube, Twitter and Facebook.